EastEnders is a Soap programme that first aired in 1985 and has been classified a 15 certificate. 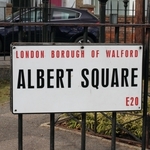 EastEnders is the BBC's long-running prime time soap opera set in fictional borough of Walford in the East End of London. The show is based around an extended and often overlapping network of families and friends who live out the many dramas and tragedies that life throws at them around the show's central location - Albert Square. Created in 1983 by the Z-Cars writers and producers Tony Holland and Julia Smith, the show often features gritty story lines about difficult subjects with an emphasis on the working classes. These story lines often feature a way to dramatise contemporary social issues such as homelessness, religious tensions, discrimination, drugs or crime, among many others. As befits a soap, the show also interweaves stories about dysfunctional families, relationship breakdowns, extra-marital affairs, births, marriages and deaths. 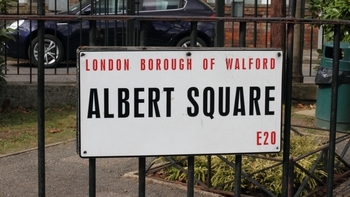 EastEnders is often controversial in its tackling of contemporary issues, but is similarly also praised by bringing apparently difficult subjects to greater public awareness. It has had a deep impact on TV programming and UK television culture in general. When is EastEnders next on TV?